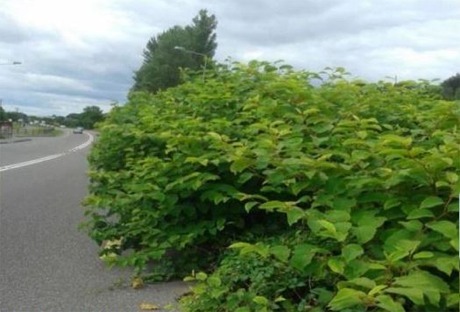 DONEGAL County Council has announced a four-year Invasive Alien Plant Species (IAPS) treatment programme on public roads during which contractors will be appointed in the coming weeks. The circa €200,000 project follows a pilot initiative in the county last year to trial different treatment options for the eradication of invasive plants such as Japanese Knotweed and Himalayan Knotweed. The aim was to find the most effective and cost effective option for future use. Invasive alien plants species are initially transported through human activities outside of their natural range and then survive, reproduce and spread, the council said. These species have "negative impacts" on the ecology of their new location and can impact on drivers' sight lines on roads; cause damage to the road infrastructure and other structures. Japanese Knotweed takes hold along a Donegal roadway. Donegal County Council senior engineer Brendan O’Donnell said: “Current treatment practices include spraying with herbicide, foliage removal and stem injection, stem injection and excavation and deep burial. "When treating with pesticide the timing of treatment is critical, as is the pesticide to be used. Late in the season just before the plant dies back for the winter appears to be the most effective." Donegal's national roads will be among the first treated by Transport Infrastructure Ireland (TII) this year. Meanwhile, Donegal County Council has set aside €50,000 in the 2016 Budget to treat roadside infestations with the intention of setting aside a similar amount annually until the spread of invasive plants is brought under control. It is expected that each infestation will need to be treated for a minimum of four years in succession to ensure eradication. Private land owners and members of the public can contact the council at 074 91 53900 or email info@donegalcoco.ie for more information.